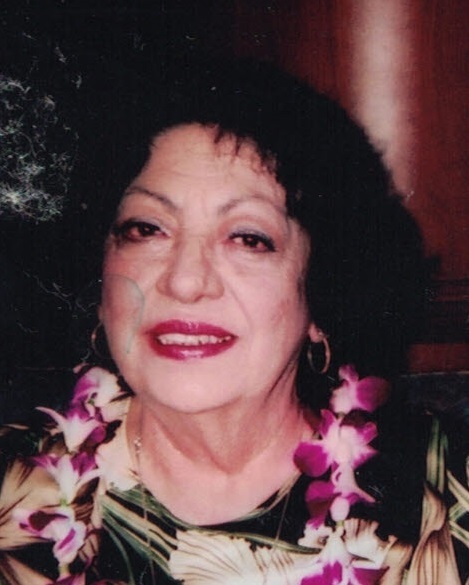 Annette “Chrissy” Guadiz, 87, of Lihue, passed away on Jan. 24, 2019. She was born in Dunkirk, New York, on May 17, 1931, and worked as a bar manager at Tip-Top Cafe. She was preceded in death by parents Joe and Josephina Crise and son Billy McMillen. She is survived by husband Charles Guadiz, daughter Yvonne (Bobby) Harris, sister Geri Hively, brother Joe Crise, stepsons Cameron (Mindy) Guadiz and Christopher (Anna) Guadiz, stepdaughter Tanya (David) Friedhoff, six grandsons, one granddaughter and five great-grandchildren. A celebration of life will be held on Saturday, Feb. 2, at Immaculate Conception Church, with visitation at 8 a.m. and services to follow at 10 a.m.